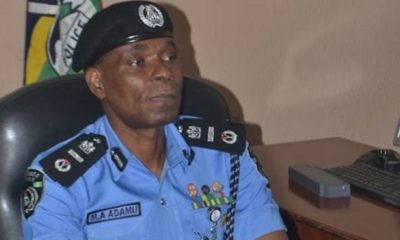 Aliyu Giwa is the deputy PPRO (Police Public Relations Officer) of Lagos State. The self-professed police who is your friend has almost 20,000 followers on Instagram. 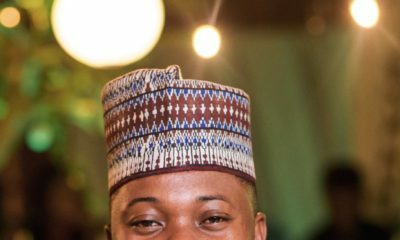 He’s getting married on the last Saturday of this month to his love Oyin Affinnih, and penned love notes on how she has opened up his heart and his world for the better. Well, Honestly I don’t know how to write Love story. I try to learn but each time spent,I never seem to be getting it right. But one thing I am sure of my dear, is that your love triumphs because of your commitment and zeal for life. And because you comprehend my love for you everyday. My love, Like we both know, Time may heal all wounds, but the scars can last a lifetime. Whether physical or mental, we all carry the baggage of the past with us into the present. I am so sorry I keep bringing my past! Alhamdulilah that stopped a long time ago! Now that you are here, the story don change! Trust me on this! I have nothing to fear, with you is where I belong I know it, I feel it so strong now! Nothing has been more clear than this! That it is your love I hold so dear and inside is the cry of my heart. My love, I feel your love night and day, and how I wish, I could put my love into words! My heart was set free with your love and believe me, it now flies with the birds! thank you for loving me, and for allowing me to love you. I feel blessed with you in my life! …………. Oyin the honey! Because of you, I don turn lover man Police! Because of you my 1+1=1 …..
Because of you I ain’t scared of good-byes! Believe me dear You are my pillar and you motivate me to go on with life! Because of you I don’t have to try and find the right person! And it’s all because of You oh! those words feel like lyrics to a love song. but I don’t like that ‘goodbyes’ part o………there wouldn’t be any goodbyes for you guys anytime soon by God’s grace. 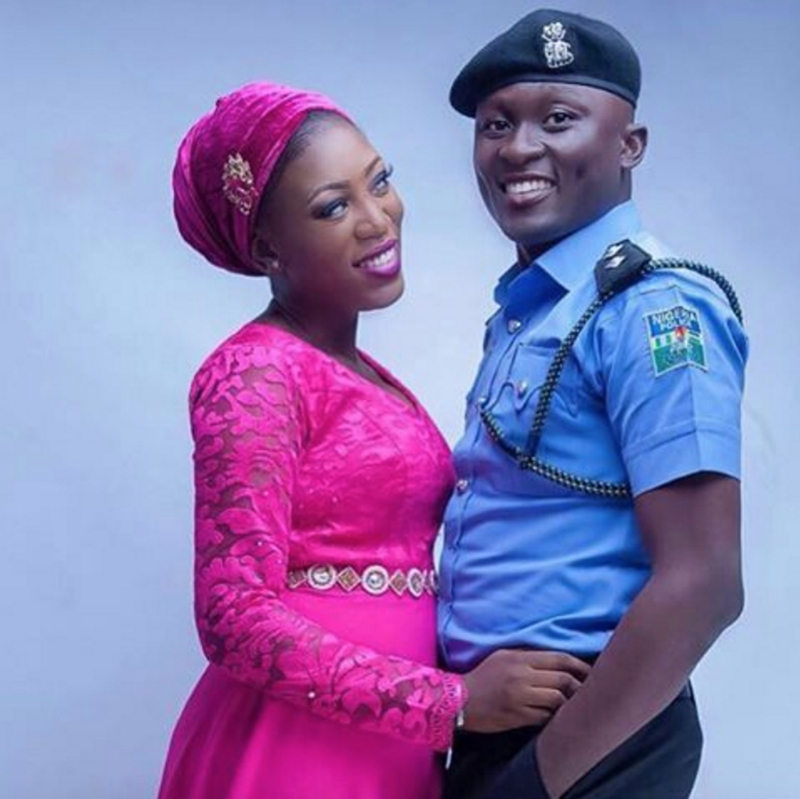 so police can love like this…Happy married life to u olopa sir and Oyin. Another handsome one soon to be off the market. [email protected] Olopa. HML. 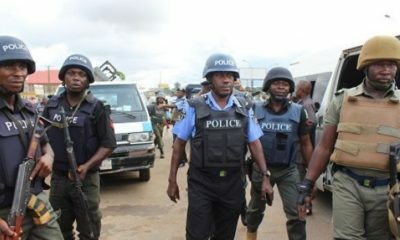 Things will change hopefully but, gradually in the Nigerian Police Force. Put round pegs in the right holes. Increase their remuneration, give them proper training, restore pride in the Uniform and the urge to harass in the guise of begging will change. 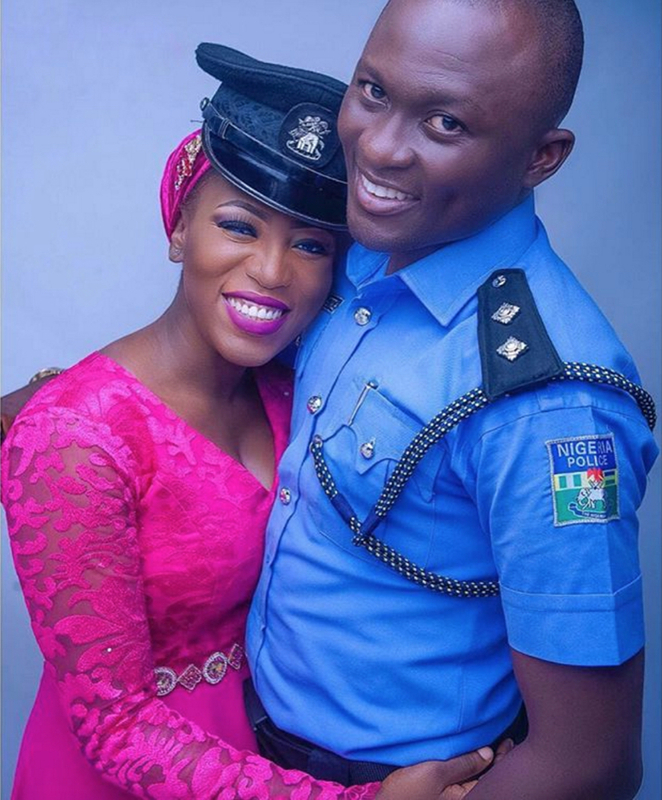 If it were a movie and Nkem Owo were to be the producer, it would be Love In Police Part1. if it were Zeb or Chico Ejiro the title would be Love in Uniform. Tchidi Chikere will call it Arrested Love. Lancelot Oduwa Imasuen will title it Love without Bribe or Bribeless Love. Jeta Amata and Kunle Afolanyan will go for something esoteric, like PEO or Sky Blues. Offcourse you will expect the Feem not movie to have the marketing imprimatur of legendary Ossy Afason, If Segun Arinze is doing the voice over then expect the throaty mention of SUSPENCE, BETRAYAL. and Grab your copy NAAAW. Outlets can range from Epinpejo Lane, Edidi Lane, to Ubakason Plaza, Upper Iweka Road. BNers complete the rest. Congrats. Police is our friend and even more. you won’t kill me oh…. Lol at Street Kredibility, you try. Oyin The Honey and Lover-Man Police! See Lyrics. Where are my naija artists, this dude just drop some crazy and romantic lines. Oyin and Oyin words from police officer ,ke from naija.may God keep u together for ever ,and gud beautifull kids together. This guy is not your regular olopa o. He is an administrative officer–most of those admin ones became olopas after first degrees. Some of them are even lawyers, sociologists or psychologists. They are not the “wetin you carry” type. Absolutely, love it. Well done, Olopa.